Excerpts from Peter Norton's book, "Fighting Traffic:"
When motorists first intruded upon city streets, annoyed pedestrians found epithets for the more aggressive ones. Some called them "joy riders," others "speed maniacs." Both terms connoted irresponsibility and a reckless disregard for the rights and safety of other street users. In 1909, for example, joy riders were motorists who abused their "power of life and death" over rightful but weaker occupants of streets: "pedestrians, ... the aged and inform, ... children playing in the streets"; in 1912 they were "automobilists" whose "aggressions" intruded upon the rights of pedestrians "to the very great danger of children and aged people." Both views reflected the unspoken assumptions of their time: that people on foot, including children at play, had a rightful claim to street space. Motorists replied with epithets of their own. They hit upon the most effective one early: "jaywalker." A "jay" was a hayseed, out of place in the city; a jaywalker was someone who did not know how to walk in a city. Originally the term applied as much or more to pedestrians who obstructed the path of other pedestrians---by failing, for example, to keep to the right on the sidewalk. As autos grew common on city streets, jaywalkers were more often pedestrians oblivious to the danger of city motor traffic. According to one early, more general definition (1913), jaywalkers were "men so accustomed to cutting across fields and village lots that they zigzag across city streets, scorning to keep to the crossings, ignoring their own safety" and "impeding traffic." Overworked police "cornermen" soon applied the term to pedestrians who ignored their directions. By 1916, "jaywalker" was a feature of "police parlance." Police use modified the word's meaning and sparked controversy. "Jaywalker" carried the sting of ridicule, and many objected to branding independent-minded pedestrians with the term. In 1915 New York's police commissioner, Arthur Woods, attempted to use it to describe anyone who crossed the street at mid-block. The New York Times objected, calling the word "highly opprobrious" and "a truly shocking name." Any attempt to arrest pedestrians would be "silly and intolerable." Fast-forward one hundred years. Yesterday, an elderly Asian man was brutally attacked by NYPD officers. The reason? "Jaywalking." Earlier the same day, in the same vicinity, one pedestrian had been slain after being tossed by an ambulance into the path of an SUV, and another person was killed by a tour bus. The previous week, a taxi driver killed a 9 year old boy who was walking with his father in the crosswalk. No charges were filed against drivers in any of the cases. Prior to the 1920s, it was generally held that the public streets were public spaces, and that all people had a customary and ancient right to use them, with or without a vehicle. Terms like "jaywalker" were slurs invented by people expressing a crude emotional state, but it was not yet an epithet enshrined in law. During and after the 1920s, due to the lobbying efforts of organized automobile groups, the public figures became more comfortable with invoking slurs such as "jaywalker" in a more formal setting. This effort to redefine streets as a place only for cars, led by groups promoting the automobile, was followed by decades of declining freedom for children, pedestrians and other non-motorized users of the street. In recent decades, efforts to reclaim freedom of the city street for pedestrians have boiled up in a number of cities around the country. But the old laws are still on the books, the laws that use slurs like "jaywalker" and which confine the pedestrian to tiny pieces of the public right of way, with limited mobility, facing danger on all sides. In proper, walking cities like Boston and New York, those old regulations have generally been held to be relics of the bad old days, mere curiosities, detritus. Only uncouth, unwalkable places such as Los Angeles, or most of Florida, would actually discriminate against pedestrians like so. Alas, the old regulations do still have bite, especially when combined with the unaccountable, irresponsible arrogance of a police force such as NYPD. Although I have more faith in BPD than NYPD, the events of this weekend can show how rapidly things can turn for the worse, even in the strong walking culture of an Northeastern city. It is time to remove all laws and regulations on the books which discriminate against pedestrians, and it is long past time for slurs such as "jaywalker" to be deemed unacceptable jargon for use in formal, legal documents or pronouncements by public figures. For Massachusetts, it could be relatively simple, since most of the anti-pedestrian language is found in the Code of Massachusetts Regulations, which are rules created by administrative department under a general authority granted by the legislature. In this case, it is 720 CMR 9.09, which, thankfully, actually refrains from using the term "jaywalker" itself. However, the existing code was written with the primary goal of speeding up cars and trucks traveling along streets, and segregates pedestrians in order to get them out of the way. The code was written at a time when the pedestrian was considered an obstacle, and a barely tolerated user of the street. The regulations should be reformed to put the safety of the pedestrian first and foremost, while preserving the traditional right of access to the public right-of-way that is entitled to every person. The upshot will be primarily one of calming streets, slowing traffic to reasonable speeds in city neighborhoods, and creating a much more relaxed, freer environment where drivers and pedestrians can share the use of our public streets. Police and judicial authorities recognized pedestrians' traditional rights to the streets. 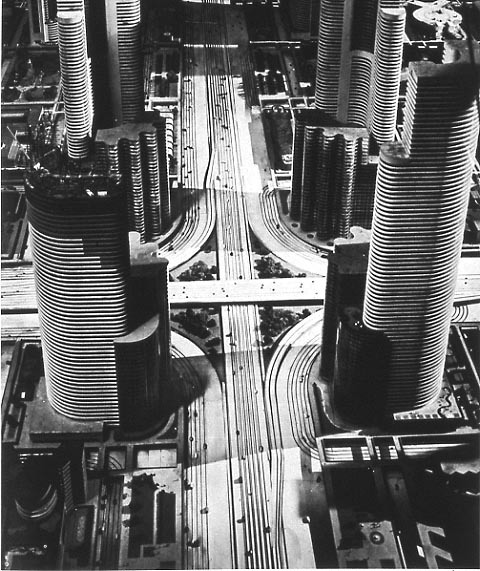 "The streets of Chicago belong to the city," one judge explained, "not to the automobilists." Some even defended children's right to the roadway. Instead of urging parents to keep their children out of the streets, a Philadelphia judge attacked motorists for usurping children's rights to them. He lectured drivers in his courtroom. "It won't be long before children won't have any rights to the streets at all," he complained. As the usurper, the motorist, not the child, should be restricted: "Something drastic must be done to end this menace to pedestrians and to children in particular." 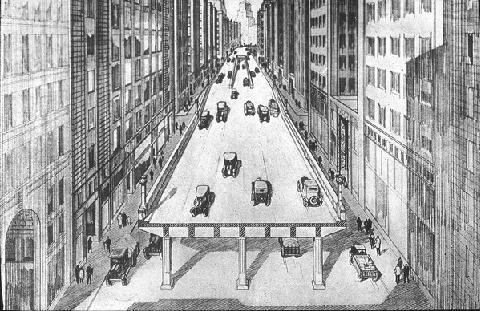 By 1930, the motoring enthusiasts succeeded in enshrining "speed" as the foremost goal of street regulation, and placated safety advocates by suggesting a system of grade-separated highways and elevated pedestrian sidewalks which would entirely segregate cars from walkers (and bikers). After nearly nine decades of experience, and millions of deaths, we know that the realities of such fantasies are horrific for pedestrians and the city, to the point where several decades and untold billions of dollars have been spent ripping down the elevated freeways that were built. It seems to me that if we are repeating the struggle of the 1920s between motoring interests and city interests, then we should take heed of the lessons of the twentieth century. Grade separation does not work for city streets. The promotion of vehicle speed, over the safety and access of pedestrians, only leads to desolation and abandonment of the city. The police cannot be trusted to judiciously apply "pedestrian law" and it doesn't make sense anyway: nobody was ever killed by a speeding pedestrian. The more appropriate path is the one that was unwisely abandoned in the 1920s: the recognition that on city streets, speed is anathema to safety. Socially, many people are coming to realize that the old way is the best way forward: the proliferation of safe street, complete street, livable street movements is testament to that. However, the law still enshrines the dangerous twentieth century dalliance with speed at the expense of safety, and the slur "jaywalker" is still considered valid jargon for use by public figures. It may be the only such slur. Changes in concrete take time, but changes in terminology need not. Police resources should not be used as a weapon against walking. For one thing, it strikes at the heart of the city, which is the vitality of its walking population. For another, pedestrians have enough danger to contend with already: protecting themselves from heedless motor vehicle drivers who cannot be bothered to respect even the little scraps of street space the law grants to people on foot. Deploying police action against pedestrians is radically unjust, and an all too tempting case for abuse, as the NYPD demonstrated yesterday. After all, catching pedestrians is a lot easier than catching speeding motorists, because pedestrians pose no threat to anyone's safety. The penalty for misjudging the speed of a vehicle is already quite steep---injury or death---and a citation is simply heaping insult on top of that. On the other hand, everyone knows that the vast majority of reckless driving goes unpunished, and the penalty relatively toothless in comparison with the potential devastation wreaked. Boston, in particular, has a major difference from many other counterpart cities: the extensive usage of "beg buttons" and the very poor programming of pedestrian signals and infrastructure. The status of Boston as a "walking city" is despite the infrastructure: because people have learned to routinely dismiss the signals as untrustworthy. Even BTD Commissioner Jim Gillooly has admitted that he does not really expect pedestrians to wait for the signal, and he personally does not either. So, Boston's status as a good walking city is largely dependent upon the choice of the powers-that-be not to enforce the anti-pedestrian regulations on the books. New Mayor Marty Walsh has had a mixed record in his former job, the state legislature. While he has promoted bills which would reduce speed limits in urban areas, he has also pushed for doubling of penalties upon pedestrians, quite a regressive measure. Going forward, I hope that he chooses to distinguish himself from Mayor Bill de Blasio, by choosing methods of bringing safety to our streets that do not include pedestrian discrimination: walking should not be a crime, and making it so will only lead to conflict and disaster. "The mayor who was elected in large part because the police stopped and hassled too many New Yorkers on the street is now overseeing a nascent "crackdown" in which the police stop and hassle New Yorkers on the street."